Below is a directory of Talent Management software vendors, tools and software solutions including a company overview, links to social media and contact information for the Top 24 talent management software providers. If you would like a printed version of this page including complete solutions profiles and a list of the top questions to ask in an RFP – Request for Proposal, click here for a Free PDF. ADP Workforce Now is an integrated HR solution designed for medium sized businesses. The software comes equipped with benefits, payroll, talent management, and time & attendance features. The software is also notable for their very strong security practices. They provide SAS 70 Level II audit reports that show they have a good corporate environment. 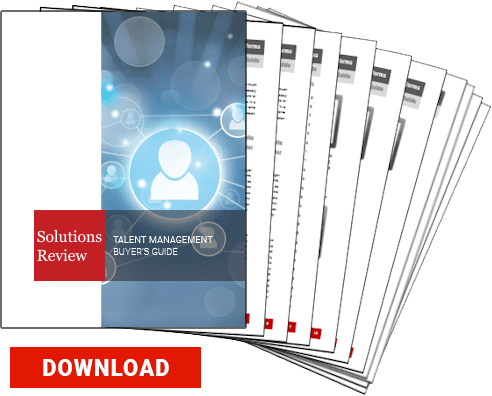 Download this Directory and get our Free Talent Management Buyer’s Guide. Whether you need basic payroll, an all-in-one human capital management, or a combination of services unique to your organization, ADP Workforce Now has the right solution for mid-sized companies looking to simplify compliance, reduce administrative work and spend more time focusing more on growing their business. Applicant Stack gives organizations the tools to help develop employment applications, create and post new open positions, share positions through social media, and build screening questionnaires to accompany online applications. Bird Dog is designed to cover productivity, meet compliance regulations, and centralize business processes. The software works well for organizations within construction, engineering, and the skilled trade fields. BirdDogHR’s integrated talent management software and managed services solutions help companies attract and hire top talent, align employee goals with company goals and create solid succession plans — while ensuring full compliance with the latest government regulations. Cegid offers integrated, cloud-based SaaS talent management and HR solutions that provide businesses with the tools for communication between employees, managers, and candidates. Manage your workforce from hire to retire, with a modern talent management suite designed to fit your industry best practices. Ceridian is a global human capital management (HCM) software company offering HR, payroll, talent management, benefits and workforce management solutions all in the cloud. Dayforce is a global human capital management platform that transforms the employee experience. It unifies data from across the entire employee lifecycle to enable better decision-making at every level. ClearCompany offers a comprehensive talent management platform designed to hire, retain and engage top performing talent. With easy-to-use modules including applicant tracking, onboarding, performance management and a talent operating system, ClearCompany utilizes your company’s mission and vision to find, hire and align more talent while also checking the list on every feature and administrative need. At ClearCompany, we’ve always believed the most successful organizations are driven by the best people. In fact, our mission is to help our client achieve their own missions by hiring, aligning and engaging A players. We’ve built the only talent management platform to deploy performance data within the hiring process, enabling teams to track performance based on true metrics for success and use that data to find more top performers. Cornerstone OnDemand presents a powerful and fully customizable cloud based Talent Management Suite comprised of an integrated package of modules designed for large businesses. Global organizations face a world’s worth of challenges – from a workforce spread across time zones, generations, nations and cultures to the increasing complexity, and competition required – to attract and retain the right talent. Deltek has offered its talent management software since 1999 with its acquisition of HRsmart. This talent management software is available as a modular system which allows companies to choose what functions they need. HRsmart provides the only SaaS, Unified Talent Management software in the world that enables organizations of all sizes to identify, recruit, develop, motivate and retain top performers. 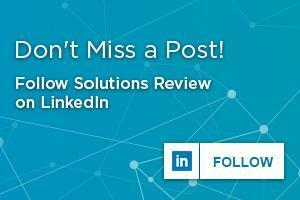 Includes: Applicant Tracking, Performance Management, Career Development and much more. HealthcareSource presents a talent management suite focused entirely on the healthcare industry with a number of features including applicant tracking, onboarding, learning management, performance management, and much more. HealthcareSource recognizes that the key to providing quality patient service is to find the ideal candidate for the job. HealthcareSource is the leader in talent management software solutions for healthcare, used at over 2.000 healthcare facilities. We help healthcare organizations acquire, develop, assess and retain the best workforce possible in order to maximize the quality and efficiency of patient care. iCIMS offers leading software solutions and tools to unify all aspects of talent acquisition. With iCIMS, companies can manage their entire talent acquisition lifecycle within a single SaaS application. iCIMS UNIFi, a Platform-as-a-Service solution, answers that call by making it easy to shop for, integrate, and build hiring tools for one streamlined talent acquisition experience. Kronos offers the industry’s most powerful suite of tools and services to manage and engage your entire workforce from pre-hire to retire. Provide managers with the tools to provide continuous feedback on employee activities connected to goals and key performance indicators, and to promote ongoing performance development, manage compensation, and stay on top of learning and development to advance skills. Meta4 is a privately held corporation that offers on premise-and SaaS solutions for HCM and payroll. While the software has traditionally focused on human resources, they’ve made broad steps in the talent management arena adding a number of features including recruitment, compensation, and performance management. Meta4’s end-to-end HCM Solution in the cloud brings your Global HR world together in one powerful and integrated system. The Meta4 PeopleNet solution enables multinational companies and those planning to expand worldwide, to centralize HR management and support HR processes across more than 100 countries. Namely offers an all-in-one HR platform for mid-sized companies that covers all of your essential HR needs, including payroll, talent management, benefits management, time management and core HR. Namely covers all of your essential HR needs in one place. It helps you manage your employees, ensure they get paid, and offer perks to attract and retain them. Oracle’s Taleo system provides recruiting, talent management, and learning management software for businesses that are looking to source and hire talent with maximum employee performance. Their software is designed for organizations both large and small across a variety of industries. PageUp Unified Talent Management is a strategic human capital management software solution, capable of delivering outcomes across the entire employee lifecycle, via technology built for a mobile and social world. The PeopleAdmin talent management offering, SelectSuite, provides users in education and government verticals with the tools required to maximize operational effectiveness and minimize risk. Organizations can simplify and automate their hiring process and monitor employee performance, while also building and retaining compliant audits. Our mission at PeopleAdmin is to build better organizations for a better future. We focus exclusively on education and government because these institutions are critical to a successful and prosperous society. PeopleFluent presents a cloud based talent management suite that’s complimented by applications for vendor management, workforce planning and diversity, and analytics. The applications include recruitment, performance management, compensation, learning, and succession. Our integrated talent management suite is changing the human capital management landscape by providing a single source of employee talent lifecycle technologies, helping organizations optimize not just their workforce, but their entire business. SABA provides organizations with a cloud based talent management application built to increase productivity, improve business results, and increase employee engagement. While providing applications for traditional talent management functions, SABA also builds on these with social and mobile capabilities that optimize the traditional talent management process. Talent and performance management is all about engaging, developing, and inspiring your organization’s most important asset ‘its people‘ to deliver on business strategy. It is estimated that most organizations achieve only 60% of their projected value from business initiatives because of major gaps in how managers and employees deliver their talent management planning strategy. SAP’s Success Factors offering presents users with an integrated cloud based suite with a number of features designed to help organizations manage their workforce. Because of its cloud based nature, the software is completely mobile allowing users to access their account at their own convenience to view project updates and recruiting data. It’s not enough simply to drive efficiency throughout Human Resources. You’ve got to drive it through your entire employee population. You’ve got to connect your people strategy to the business strategy to drive the business results your organization needs. You need more than a complete talent management suite. SilkRoad’s talent management software, LifeSuite, is a full comprehensive cloud based solution suite that contains a number of HR relevant solutions. Users can choose the entire suite or specific models to match their company’s needs. SilkRoad is also integrated within Microsoft’s Active Directory which allows users with a single sign on so that employees are able to transition between each of the SilkRoad modules. SilkRoad technology’s OpenHire is a social recruiting software system that gives you the tools to attract, screen, and hire the best talent globally. OpenHire applicant tracking system provides a consistent, easy to use, affordable HR recruitment software solution while maintaining compliance. TalentQuest provides an innovative Talent Management software suite that empowers companies to more effectively hire, manage, develop and retain the best talent. TalentQuest provides a hire-to-retire Talent Management Platform that automates traditional talent processes, leverages behavioral science, generates individual and team insight and guidance for managers, and allows organizations to shift from a “one-size fits all” to an individualized approach to talent management and development. TalentSoft is cloud based talent management software with a number of in-house options as well. The company offers nine management products to meet all of a large, international business’ needs while also presenting small-mid-sized businesses with a separate package. Your talents are your most valuable asset. That’s why when it comes to talent management it pays to be smart. Introducing the Talentsoft platform: a centralized system that keeps all of your employee information in one place. With Talentsoft, you can analyze and act on your human capital, build HR plans, and manage career and succession planning from a single location. UltiPro presents an end-to-end solution that includes payroll, human resources, and a talent management system that is delivered as Software as a Service. Ultimate Software’s UltiPro software suite provides businesses under 1,000 employees with full visibility of the entire employee lifecycle from recruiting to retirement. solutions. UltiPro Workplace serves as your one-stop human capital management portal at the center of your business. Delivered through a cloud/SaaS model, UltiPro Workplace delivers recruitment through retirement functionality with award-winning customer support services’ the most responsive in the industry. Workday presents a full HR suite that covers everything from administration, talent management, recruitment, and time tracking. This vendor is renowned for their commitment to customer service. Workday is also a highly flexible solution, that allows you the ability to take the data stored within Workday with you, if you ever decide to leave the solution.